To a certain degree, everyone who jumps into the field of music journalism does so because of a passionate hunger for hearing something new and exciting. When it comes to finding that something new and exciting, the deeper one digs into new sounds and unheard styles, the more apparent it becomes just how many uncharted musical realms there are to discover. The beauty of following this path of discovery is that, inevitably, embracing one style will provide an entry point to another. Hip-hop may turn one on to grime, drum `n’ bass to dubstep, funk to afrobeat, and so on. The chain, though finite, at times seems boundless. Diving headfirst into a new genre, however, can be an intimidating task. Without exposure from a friend or acquaintance leaves us to take on much of the task on our own. Where does one start? Who are the best artists? Who are the hacks? And, most importantly, will this path of discovery be of any value to me? If you learn, absorb, or most importantly, enjoy anything in the process, then that musical journey most certainly has value. With “Hold On To Your Genre,” Treble introduces a new series in which its writers take on a genre, head-first, in the hopes of unearthing to readers some ground previously uncovered, and for the writer himself, something much deeper than what is readily apparent on the surface. As we sample each style’s numerous delicacies, we hope our readers, in turn, will likewise take something interesting away from the process. There’s always a new genre or style to discover, and sometimes it takes an all-nighter to hear everything it has to offer. My introduction to krautrock arose through contemporary indie rock, much like many others who weren’t alive in the 1970s, particularly Stereolab. The legendary British band fetishized German electronic and prog, and blended it with lounge, noise pop and chamber arrangements, though, at the time, I didn’t really have a reference point. I just knew that Emperor Tomato Ketchup was one of the coolest sounding records I had ever heard, and that was good enough for me. Fast forward a couple years to college, at which point I pick up my first Can CD, Ege Bamyasi. And at that point, it wasn’t just Stereolab that made more contextual sense, but Radiohead as well, whose Kid A owed a lot to German art rock, and “Street Spirit” actually seems a little like “Sing Swan Song” reworked into a 4/4 ballad. From that point on, I couldn’t help but hear bits of Can and contemporaries like Neu! and Kraftwerk in dozens of new records. Yo La Tengo, Caribou, Deerhunter, Atlas Sound, Wilco, Tortoise and, the artist that got me here in the first place, Stereolab. And that doesn’t even get into the post-punk era, in which bands like The Fall, Suicide, Joy Division and Public Image Limited set their ears to Berlin for inspiration, as well as the genre’s biggest advocate Julian Cope, who wrote the tome Krautrocksampler. What is krautrock? To summarize in as concise a manner as possible, krautrock was the name given to a burgeoning scene of art rock in Germany in the 1970s by the British music press. 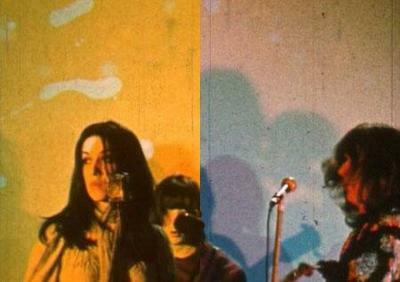 At the time, it was a cheeky phrase, whose origins apparently stem from the Amon Düül song “Mama Düül und Ihre Sauerkrautband Spielt Auf.” But it’s, in essence, a general term to describe any of Germany’s seminal experimental bands, the primary characteristic unifying them being that they’re all German. Now, simply being German, alone, isn’t enough to warrant the term. As we all remember in High Fidelity after Barry says his influences are primarily German, Rob Gordon snarkily retorts, “Kraftwerk? Falco? Hasselhoff?” Of those three, only Kraftwerk would be considered krautrock, no offense meant to the Hoff. To get into more specifics, krautrock was more progressive in nature, often based around psychedelic jams, atypical song structures, and a near-absence of any blues-based influences. In fact, for bands like Faust, removing the blues roots was kind of the point. This was rock music that didn’t subscribe to the expected notions of what a rock song should sound like, and as such didn’t much sound like other rock music at the time. And deeper into the ’70s many of its key musicians would even completely put aside the “rock” portion of it to pursue a more progressive electronic sound. On the other hand, Popol Vuh’s Florian Fricke did the opposite and moved away from his electronic sounds for at least a little while. To put it simply, krautrock was more about the idea of how far you could take rock `n’ roll rather than the sound itself. But under the blanket term there were different schools, different peer groups, bands of similar style and taste, and artists whose visions sometimes intersected. For this quarter’s genre picks, I have skipped ahead to some of the more advanced recordings. I highly suggest to anyone reading that they listen to Kraftwerk’s Trans-Europe Express, Can’s Tago Mago and Ege Bamyasi, and Neu!’s Neu! before diving into the following seven albums. Now then, on to the albums! If we’re starting alphabetically, which we’re not (we’re going chronologically), the inevitable first entry in our journey through krautrock would be Amon Düül, a loose musical collective that grew out of a commune in the ’60s. They were not just musicians but artists of numerous types of media, and made political commentary a central part of their identity, which is pretty much the norm for any band of hippies living in a commune in the ’60s. And from that group of artistic radicals formed Amon Düül II, a more focused group of psychedelic rockers that, while still in their own form of outer space, were a decidedly more disciplined bunch. Their sound was heavy, huge, and tended to favor both structured songwriting and free improvisation, though the distance between these two approaches was by no means vast. Case in point: Yeti. The band’s 1970 double album split evenly between one LP of proper songs and one LP of looser jam session material. It all flows together pretty well, though, their ominous heavy psych sound (which most certainly played an influence on doom metal later on) lending itself well to space-rock freakouts. 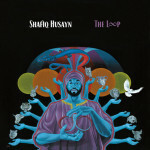 It might make a little more sense when you understand how it’s sequenced, however, as the descent into three lengthy tracks at the end might come off as a little more meandering than the others, though the fact that two of the tracks on the second half feature prominent vocals make things a little more confusing. Of the first LP, there are numerous highlights—the exotic folk strums of “Cerberus,” the doomy fuzz-out of “Archangels Thunderbird,” the brief yet stunningly bizarre “Pale Gallery,” and, most ambitious of all, the four-part, 12-minute opening suite, “Soap Shop Rock.” Meanwhile, you can smell the reefer smoke billowing throughout LP2, from the nebulous opening of the title track, which leads into a super heavy, almost Blue Cheer-like epic monster. And closing sprawler “Sandoz in the Rain” lets off the fuzz, allowing some hypnotic acoustic guitar and flute to take over, closing out the record with a mystical, intoxicated presence. That the genre gets simultaneously stranger and more accessible from here is a testament to the creativity at play in 1970s Germany. Ash Ra Tempel’s two central figures, Klaus Schulze and Manuel Göttsching, later on in the ’70s and ’80s explored more electronically based progressive sounds, both ambient and rhythmic, the latter’s E2-E4 even considered something of a modern minimalist masterpiece. Yet, in the early days of Ash Ra Tempel, these two musicians took part in a much louder, heavier and, frankly, more jam-based form of psychedelia. Not quite as heavy as Amon Düül II, but considerably more epic and atmospheric, Ash Ra Tempel, in retrospect, seems to have planted some early post-rock roots, decades before anyone even thought of such notions. The band’s self-titled debut, a two-track, 45-minute monster, is not easily digestible in small doses. That tends to be the case when the shortest track is 19 minutes long. But when allowed the full duration to unfold, open up and let its freakish grooves ooze out and congeal, it’s actually something quite stunning. “Amboss,” the shorter of the two pieces, is a noisier, faster space-rock jam that rocks pretty hard, much in the same way a modern counterpart such as Comets on Fire would, but maintains a steady, 4/4 rhythm, keeping at least one element in common with their more song-oriented contemporaries. The longer, second piece, “Traummaschine,” is not quite as immediate, if such a thing can be said of either, but it’s certainly stunning, the band switching from careening psych mode to a more atmospheric, eerie approach. Much like some of Ash Ra Tempel’s ambient contemporaries, this suite is subtly spooky, though not in quite as ominous a manner as Tangerine Dream’s Zeit, which we will get to shortly. When discussing German progressive music, it’s important to consider the sheer breadth of it all. When we talk of ‘krautrock’ or ‘motorik,’ the first thing to come to mind is the playfully rigid rhythmic exercises of Neu!’s “Hallogallo” or Can’s “Spoon,” or perhaps the hypnotic electronic bliss provided through albums by Cluster or Harmonia. In an earlier incarnation, Popol Vuh had more in common with the latter, the group’s Florian Fricke being one of the pioneers of progressive electronic music. But by 1972, Fricke sold his moog to Klaus Schulze, took up interest in African and Turkish instruments and made an acoustic-based record that’s more neo-classical in tone than that of a rock record. In fact, it’s a real stretch to call this a rock record at all, though it’s hard not to find parallels between Hosianna Mantra and those of Popol Vuh’s contemporaries. The 10-minute title track, for instance, is a hypnotic, trippy piece that isn’t so far removed from Can’s longer songs, though a bit more delicate and subdued. As a whole, actually, Hosianna Mantra is very delicate. With influences pulled from both Eastern and Western sounds, Fricke intended the album to be a “mass for the heart,” and there’s something almost religious about its serene, sublime atmosphere. The gentle plinks of piano, ethereal female vocals and pastoral traces of flute don’t invoke the industrial landscapes of Berlin or Cologne, but a place of solitude and sacrament. Popol Vuh most certainly made darker and heavier material, of which Fricke’s soundtrack to Werner Herzog’s Nosferatu the Vampyre is an amazing example. But here, the atmosphere is lighter, more graceful, and above all quite gorgeous. Tangerine Dream is one of the most widely known acts to have emerged from krautrock, along with Can and Kraftwerk. And, more specifically, they’re the biggest name associated with the Berlin School of electronic music, which also included Klaus Schulze and Ashra. In fact, they’re probably the only artist covered here that, say, my dad has heard of. Then again, he’s had a few albums by the Alan Parsons Project and Emerson, Lake and Palmer in his library, so he’s not necessarily a stranger to prog. Still, it’s interesting that Edgar Froese’s pioneering electronic outfit should happen to be so widely known and revered, because, frankly, they’re one of the weirdest. The group’s material spans from abstract ambience to ominous soundscapes and more pleasant new age sounds, though they didn’t so much have any “hits” that I’m aware of. And if they did, none of them were on Zeit, their lengthy double album from 1972 which featured one track per side, each spanning a minimum of 16 minutes. In contrast to some of the band’s more commercial material, if you can really call it that, Zeit is a dark, space-age ambient work that is a dazzling accomplishment, and emblematic of the sheer ambition of German progressive music in the 1970s. It’s not their most accessible work—not by a longshot. And sheer track length alone does not wholly account for that. The album’s central focus is not melody so much as texture, and massive, enveloping sound. It sounds like being in outer space, basically, but not like Space Mountain at Disneyland outer space. Like actually on Mars. That might end up a turn-off for folks who prefer to get their kicks in something a little more tuneful, but it’s also the quality that makes Zeit a truly incredible work. It’s immense, for starters. And second, perhaps most importantly, it’s frequently terrifying, which is sometimes a big selling point for me personally. Listening to “Origin of Supernatural Probabilities,” one is likely to feel suspended in anti-gravity nothingness, watching the whole of the universe while entirely disconnected from it. And on “Birth of Liquid Plejades,” that strange and unsettling feeling is amplified, as if being pulled into a black hole, or making an extended visit into the netherworld. Pinpointing the krautrock artist whose approach was the most experimental is kind of an arbitrary exercise, as pretty much all of the artists involved made music that was well outside the norm, bold, brave, and more often than not completely bizarre. Still, the most anarchic, druggy and just plain out there was Faust. Their career lived a few lives, having been reborn in the ’90s and extending through the present, and took on many shapes and forms as well. They delved into minimalism with Tony Conrad, unintentionally pioneered industrial music on their self-titled album, and also treated format as an art form in itself, outside of the music, their debut pressed on clear vinyl, and packaged in a clear sleeve with an x-rayed fist printed on it. 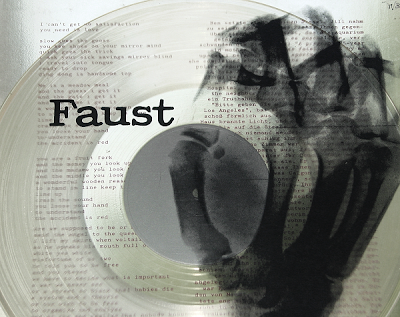 All this being said, Faust were exceptional songwriters, and on their fourth album, simply titled Faust IV, they loaded up an LP with seven of their strongest tunes. It’s a surprisingly accessible work, even when taking the 12-minute opening track “Krautrock” into consideration. Using the term “Krautrock” to name the droning, pulsing motorik dirge could very well be interpreted as a kind of satirical device, but then again, it’s precisely this kind of lengthy, hypnotic epic for which the term has become synonymous. Yet it’s not representative of the whole. The much shorter “The Sad Skinhead” is a lot more direct, swapping pulses for a scratchy reggae rhythm, while “Jennifer” is simply lovely, the most sublime seven minutes on the entire LP. Picking one Faust LP to be representative of their discography is next to impossible given how all over the map they are, but it’s definitely the best starting place. Where ambient, space-oriented artists like Tangerine Dream helmed the output from the Berlin school, the more rhythmic-based musicians in krautrock were considered part of the Düsseldorf School. One of the more prominent artists from this segment was Cluster, who, ironically, formed out of a Berlin-based art collective called the Zodiak Free Arts Lab. Regardless, there’s a dramatic difference between the kind of electronic music of the likes of Froese and Schulze and by that created by Dieter Moebius, Hans-Joachim Roedelius and Conrad Schnitzler. Not that there aren’t parallels—improvisation, space and atmosphere played a major part in the kosmiche recordings of Cluster’s first few records. After Schnitzler left the band, however, the remaining duo of Roedelius and Moebius pulled their sound into bolder and brighter new directions, reaching a sublime peak with Zuckerzeit. With each of the two songwriters responsible for five songs apiece, Zuckerzeit is a record that wavers between divergent creative directions, though the adventure in trying to reconcile the differences can be a pretty amazing experience. Built of mostly four-minute, melodic electronic pieces, it’s a pretty easy album to enjoy without requiring any sort of interest in psychedelic music, space rock, free improvisation, ambient or any other genre that offers few easy entryways. The difference in songwriting between the two primary players is subtle, but it’s there. Moebius’ tracks, like “Caramel” and “Rote Riki,” tend to be weirder, more experimental, but fairly accessible overall. Roedelius, on the other hand, crafted prettier, more melodic pieces that were sometimes atmospheric, but often pulsing and rhythmic, like on “Rosa.” It shouldn’t come as a surprise that Brian Eno collaborated with the band, as Zuckerzeit is a direct ancestor of Another Green World, and both are essential electronic recordings for any collection. I’m slightly hesitant to use a word like “supergroup” to describe Harmonia, given how interconnected all of the various artists under the krautrock umbrella are. But, for all intents and purposes, that’s exactly what they were. Composed of Cluster’s Dieter Moebius and Hans-Joachim Roedelius and Neu!’s Michael Rother, Harmonia combined the three artists’ strengths and artistic approaches into something that sounds warm, bright and inviting, like the sun that adorns their 1975 album Deluxe. Harmonia’s output wasn’t very extensive, having produced only two full-length albums and some compilations of material here and there. But what they did put out is simply wonderful. Deluxe, their second and last proper album, lines up six tracks of joyful energy, big, beefy synthesizers and just enough trippy cosmic sounds to remind listeners that this is, after all, a band whose roots are in space rock. The trio covers a lot of ground here, not unlike Neu! frequently did, beginning with the warm, comparatively catchy tones of “Deluxe (Immer Wieder),” detouring into almost surf-inspired drones on “Walky Talky,” plugging in the electric guitar for some most welcome fuzz soaking the infectious pulses of “Monza (Rauf und Runter),” and invoking Tolkien in the darkly mystical “Gollum.” In a sense, by 1975, there were so many vast and varied ideas of where krautrock could go that Harmonia almost summarized the genre with Deluxe, albeit forgoing some of the heavier space rock exercises of earlier in the decade. When viewed as part of the whole or merely a standalone album, however, Deluxe is a particularly outstanding specimen, playful, nuanced, trippy and long on melody.